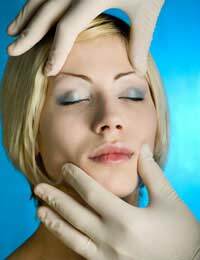 Home > Facial Surgery > What is S-Lift Surgery? Also known as a mini-facelift or short-scar facelift, an s-lift promises fewer scars, a shorter recovery period and minimal tissue trauma than a regular facelift. The difference is simple: it lifts the skin's underlying muscles to stop skin from sagging, rather than simply pulling it tighter over the bone structure. What Does an S-Lift Entail? This cosmetic procedure gives fantastic results but without the traditional scarring of a regular facelift. In effect, the scars behind the ear crease and along the hairline behind one´s ears are eliminated, with incisions beginning in the hairline instead. In fact, it gets its name from the s-shaped incision the surgeon makes in front of the ear of the patient. Unlike traditional facelifts, the skin is not separated from the facial tissue that is deep, and the entire lower bit of your face will be lifted in its entirety, producing more natural muscle tone. As with any type of plastic surgery, it´s definitely not for the squeamish! An S-lift can be performed under local or general anaesthetic, although some doctors prefer general, saying they cannot burrow deep enough with a local. The operation takes up to two hours and most patients need to take from one to two weeks off work. Who is a Good Candidate for an S-Lift? The best candidates are people in their thirties, forties and occasionally in their fifties, who are in good health. Often they choose to combine this plastic procedure with other surgeries to make themselves look as good as possible. They can include eye lifts, eyebag removal and liposuction of the face and chin, for maximum aesthetic appeal. Expect to look bruised and swollen at first, with everyday tasks such as eating and talking difficult. But by Week Three you should feel, and ultimately look, a helluva lot better. As with many cosmetic operations, you will need to avoid doing anything strenuous for several weeks, take lots of rest and have time off work to recover and relax. You can suffer nerve injury, numbness, skin or hair loss, skin discolouration and broken capillaries. You could also have an infection and haematoma, and in very rare cases you may need further surgery to correct things that have gone wrong. How Much Does an S-Lift Cost? Generally you will pay several thousand pounds, although the exact cost will depend on the surgeon, the area you live in, the clinic and your face! It will, however, definitely be cheaper than a traditional facelift. An s-lift can be the perfect choice for relatively young people who want to renew their appearance and get rid of sagging skin and jowls on their face. While you will, of course, continue to age, the results of even one facelift can be amazing, and change your looks for years to come. Just make sure you do your homework first, and use a surgeon accredited with the British Association of Aesthetic Plastic Surgeons, or BAAPS, for best results.